On February 10, John Haines, Executive Director of ﻿Mercy Corps Northwest﻿, will speak about the mission and vision of Mercy Corps Northwest of working together to build more just, productive, and resilient communities in the Pacific Northwest and the work of MCNW community integration and community initiatives projects in Multnomah County. Here is a Q&A with February's speaker. 1. What or who was most influential in your upbringing that contributed to your current success? 2. What’s the best piece of advice you’ve ever been given? 4. What is the last book you read for pleasure? 5. What is something that you are proud of, that most people don't know about you? I finished writing a book a month ago. On January 13, Tania Hunt, Executive Director of ﻿Children First for Oregon ﻿will speak about working to advance a Children’s Movement in Oregon that will help make Oregon a place where all children are healthy and safe, and struggling families have the support they need to thrive. Here is a Q&A with January's speaker. My mother – I learned determination and a commitment to helping others. 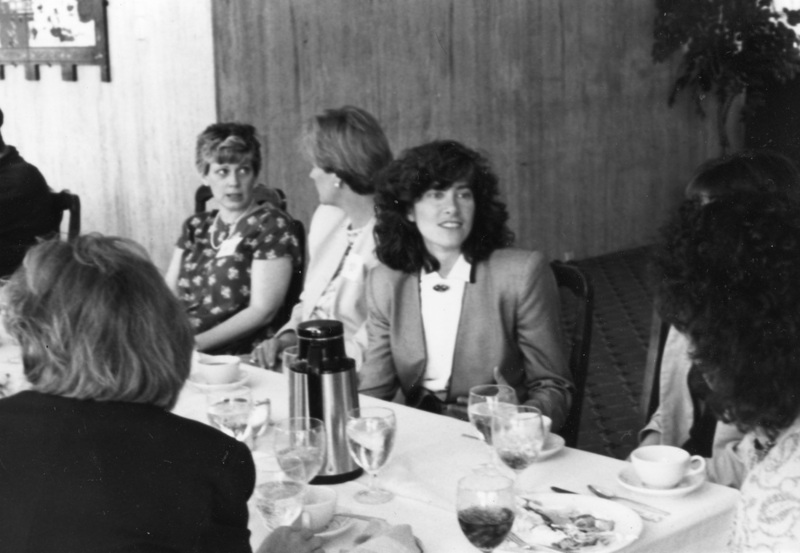 “There’s no lack of good ideas – only a lack of time and resources.” One of the best lessons I learned from an early mentor that has proved true over and over again in my non-profit career. 3. What is an issue that you think women should focus on in 2015? Child well-being! Truly, the future of our state and nation are dependent on the investments we make in kids and families today. 5. What is the last book you read for pleasure? 6. What is something that you are proud of, that most people don't know about you? I have almost finished several quilts. I’ll be exceptionally proud if I ever get one actually finished! In 2015 the dates are on the same days of the week as in 1998, the “year”* for which Queen’s Bench published a Commemorative 50th Anniversary Calendar. For instance, January 9th is again on a Friday. 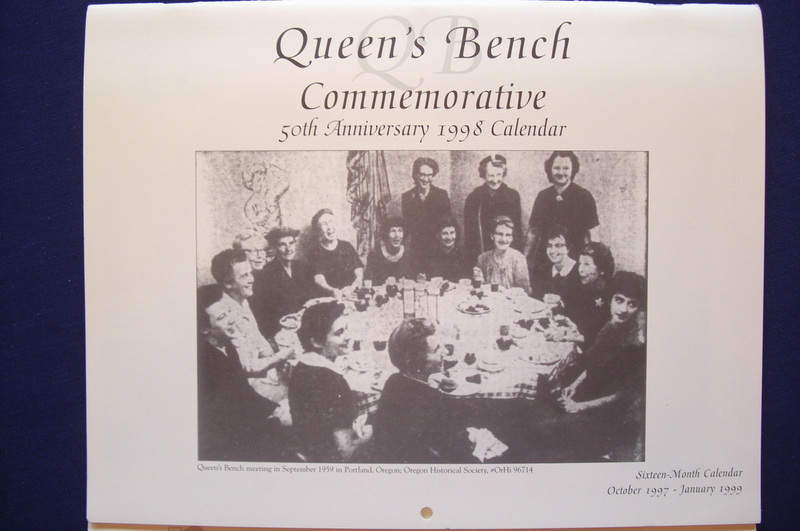 This calendar features 16 of the women who were founders or early members of Queen’s Bench - and marks significant anniversaries on some of the dates on the calendar. For example, on January 9th the calendar notes that in 1990 the OWLS Board accepted Queen's Bench as its first chapter. Not only can the calendar be used for 2015, but it’s a rich historical resource. 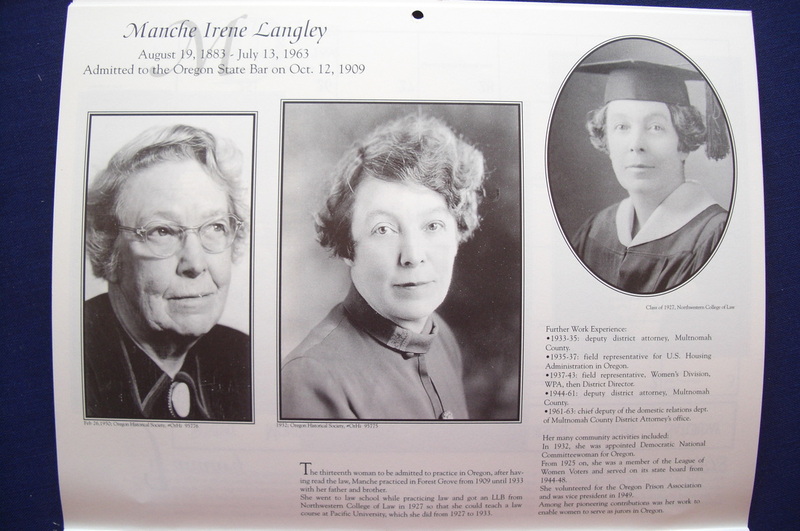 The calendar is now being offered as a free gift to anyone who donates $25 or more to the Manche Langley Scholarship, which Queen’s Bench created in honor of Manche Langley, one its founders. Donation forms and calendars will be available at the December luncheon. Donors should make their checks out directly to “Lewis & Clark Law School” and note the Manche Langley Scholarship in the memo. Checks delivered at the luncheon will be sent by Queen’s Bench to the law school. *The calendar is actually a 16-month calendar that started in Oct, 1997 and went through Jan, 1999. So it would work for December 2014 through January 2016. If you won’t be able to be at the luncheon, you can still make a donation and receive a calendar. Below is a donation form – with more details about how to donate, as well as a more-detailed bio of Manche. Please click here to contact Past President, Trudy Allen by email to arrange for delivery. On September 9, Victoria Blachly, Samuels Yoelin Kantor LLP, spoke about litigation of estate issues including resources and public policy relating to capacity, financial elder abuse, and guardianship and conservatorship matters. Here's a Q&A with September's month's speaker. 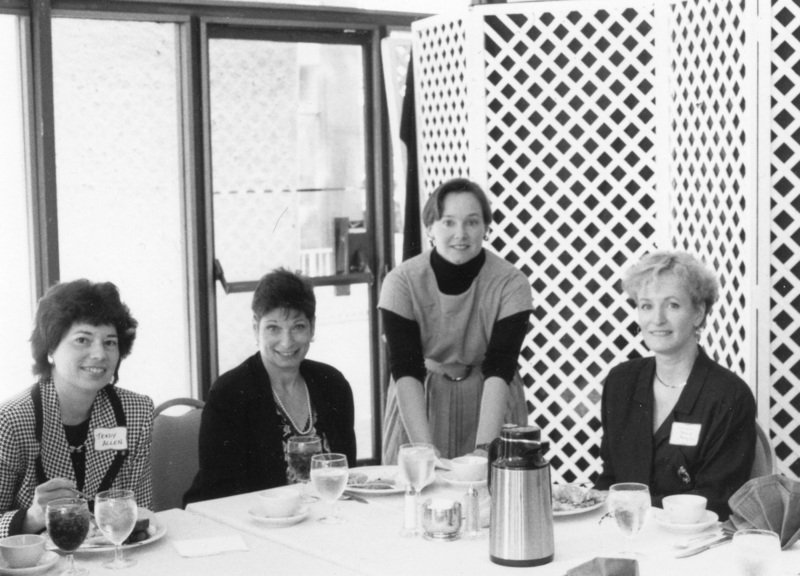 Check out these fun photos from Queen's Bench luncheons of the early 90's! Great day for a picnic! Games start at 12:30. 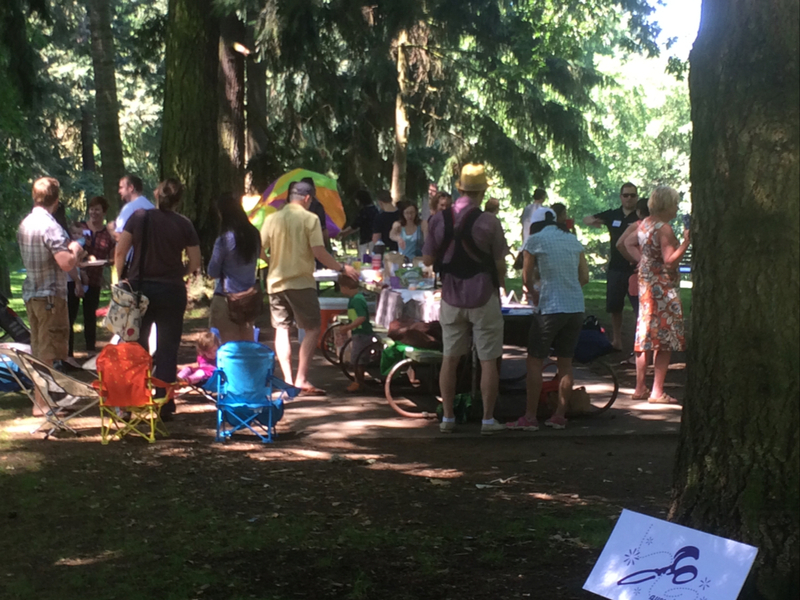 Laurelhurst park, site C.
On August 12, Diane Schwartz Sykes, Oregon civil rights lawyer, will speak about civil rights advocacy and experiences in the development of legislation and policy, as well as litigation of civil rights matters. Register by August 6. REGISTER ONLINE. Here's a Q&A with this month's speaker. On June 10, Ruth Beyer, Senior Vice President and General Counsel, Precision Castparts Corp., will speak about in-house careers and the skills and experience she acquired in private practice that were most valuable in her first year at PCC. REGISTER ONLINE. Here's a Q&A with this month's speaker.